Need a developer? Hire well-experienced and trained Shopify web developers. CSSChopper is the pre-eminent Shopify web development company from in India that provides dedicated Shopify web developers for hire. We hold great expertise in delivering exceptional Shopify stores and have become one of the leading Shopify development companies over the time. We are proficient in handling Shopify eCommerce platform. Our adeptness allows us to provide unique and advanced ambient to your e-Commerce store. Hire Shopify developer from our company for obtaining exceedingly scalable business stores. Our team of expert Shopify developers is deft and knowledgeable in various advanced web design tools. 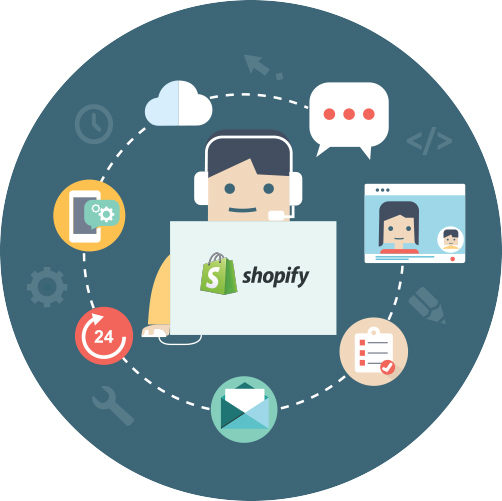 Our Shopify professionals are always ready for your help and provide support through chat, phone, Skype, Project Management System (PMS), and email. We offer tailor-made services that improve your web store feasibility, user-experience and make it SEO-friendly. Our Shopify web developers are highly versed with several Shopify frameworks. You can hire our developers on the basis of our impressive packages. We provide full-time hiring consisting of 40 hours in week, 168 hours for a month in 21 working days, weekly comprises 40 hours and flexible one year hiring with bucket hours TM support. To trace the project status, we render BaseCamp, Trello, PMS, and Jira. Our developers develop Shopify app for providing unique shopping experiences with amazing solution to access multiple functions. We create responsive web development approach that makes webpages render well on any size of device like desktop or mobile. From simple front-end widget integration to completely order mangemnet system, we build customized shopify app for all clients. Our developers use API or 3rd party integrations to integrate other services with bug-free coding as per Shopify standards. We use great tools like automate ordering, forecasting, and inventory tracking, we build amazing Shopify app store for your business with best inventory management system. Our Shopify developers offer highly customized and scalable eCommerce development in delivering exceptional Shopify Plus and Shopify advanced stores. Our Shopify developers offer various Module Management solutions which help you stay organized and avoid costly mistakes. We assist you to get started with Shopify by setting up Shopify theme, and setting up payment gateway along with adequate guidance..
Our developers capture all the sales order for your Shopify store and also handle multi sales channels if you are selling outside of Shopify. Our blog features frequent content to show you how to develop and sell apps in the Shopify App Store. We strictly adhere to international coding guidelines & standards of providing quality work in terms of Shopify web development services. With our technical services, you are fully PCI compliant, especially if you plan to take payments through your own checkout. We provide maximum security to fuel up your store by granting access to certain Collections, Products, or Pages to certain group of customers only. Our developers develop Shopify apps that are fully optimized for search engines and help you stay one step ahead of the competition. We create Shopify app for our client that give them the ability to add extended functionality and custom integrations to their Shopify store. We make sure that every online store created by our Shopify developer works well across all popular platforms including desktop, CMS, mobile, etc. Unique web design with interactive UI that has better user experience and stands out to give you an edge over competitors. Our Shopify expert implements the latest Shopify tools to work together without compromising quality and efficiency to boost the visibility of the website. We create the best responsive email template to get you up and running as fast as possible to increase the business sales conversion. Hire our Shopify web developer to obtain the best online store which is developed in strict adherence to the W3C standards compliance. By adding security badges to your online store, we provide more security and establish trust with our customers. At CSSChopper, we offer you exclusive services to support you in managing product inventory and maintaining consistency in Store Database. Our creative website designing team spends time to understand your business objectives & target niche before starting the designing process and complete it on-time. Our Shopify expert develops highly scalable Shopify Storefronts that can expand as your business grows and runs on any platform. Do you have any running idea in your mind for creating your own Shopify store or you want to upgrade your existing store then you are at the right place. You can send any query to us. We will help you build an attractive online store. For sending any inquiry, please fill all the details which are provided by us and click on the send option. You may also attach any document file. Once we receive your project requirement, we will send you all the details about your project like cost estimation, number of days required and scope of your project. Our Shopify expert will contact you for providing all the confirmation about your project. We have a pool of developers having relevant experience and required skills. You can check all the details about our developer and select appropriate resource accordingly. You can ask any query about your project, if needed. Our Shopify professional are well-trained and experienced, they will definitely help you for building your online store according to your requirement. Once you will get complete satisfaction then you need to pay accordingly. After paying the amount, you do not need to worry about it. 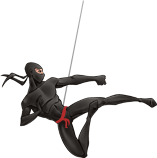 Our developer will use the latest technologies to complete your requirement such as Agile methodology. Once the coding of your project is completed, we run it through a series of rigorous QA tests. Our developers will provide you the complete solution by completing your project on the given deadline. Rated 4.9 out of 5.0 for CSSChopper service by 10236 clients on over 15000+ projects. Factors that make us an ideal partner! have a query? ask away..